These photos were taken in March 2009 during a trip to Hawaii. 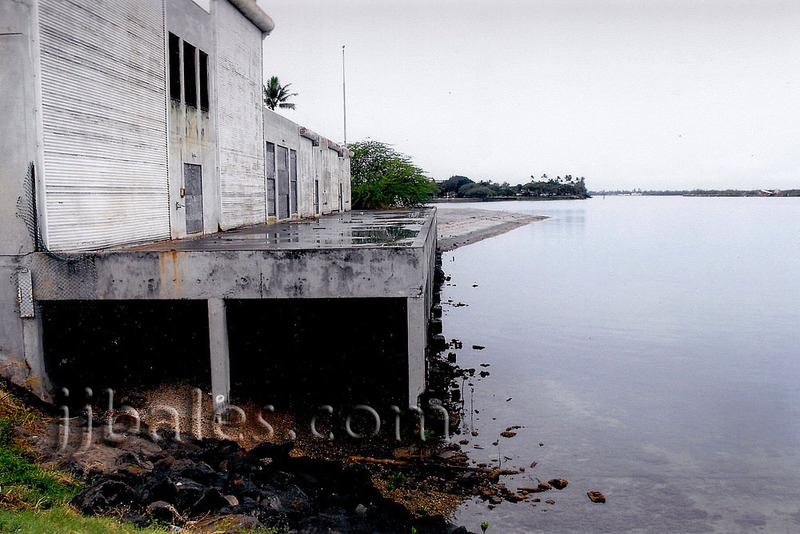 They show various scenes from historic Ford Island, located in the middle of Pearl Harbor. It's quite a peaceful place these days, in contrast to what took place on December 7, 1941. The small island is a U.S. Navy facility with base housing, a Navy Lodge, and few commands, and a brig. 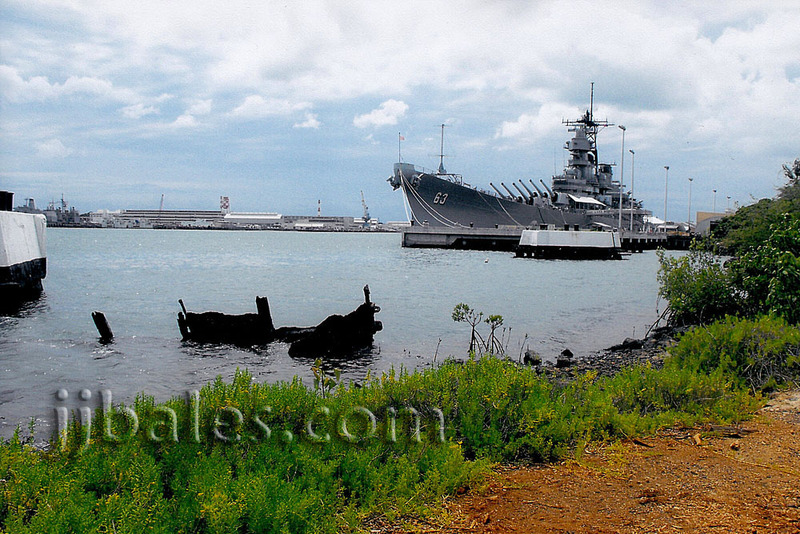 The remains of the battleship Arizona and its popular Memorial lay off the southeast part of the island. Much less known is the wreck of the training vessel Utah, visible just offshore on the northern coast of the island. Among the other things to visit on the island are the USS Oklahoma Memorial, the battleship Missouri, the Pacific Aviation Museum, the abandoned runway of Luke Field/NAS Pearl Harbor, the old aviation hangers, the seaplane base ramp, and the iconic Control Tower. 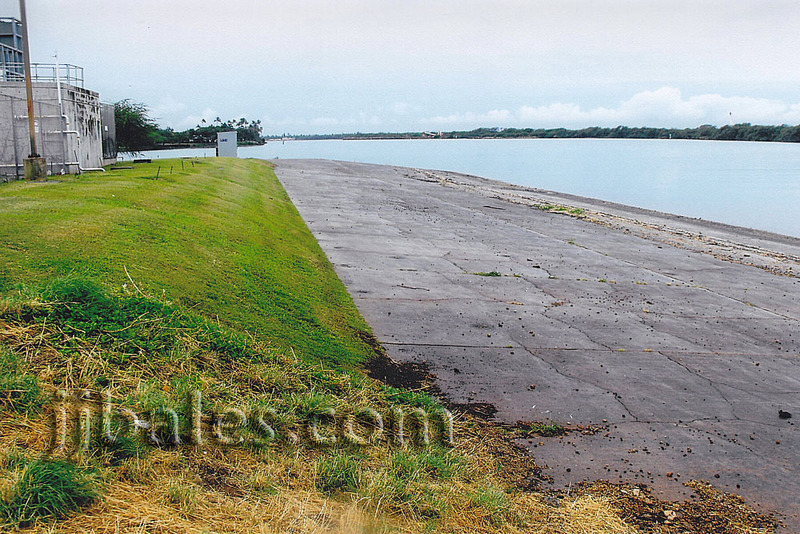 For additional photos of Ford Island see the pages for USS Arizona/Shore Walk '09 and USS Utah Memorial. 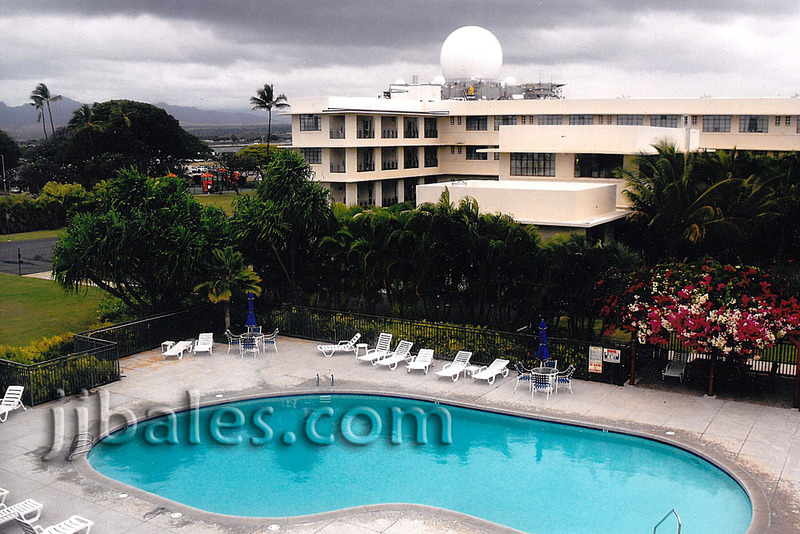 View from Navy Lodge looking east towards Aiea. The shoreline just ahead is a great place to sit at night. You can look out at all the distant lights and listen to the waves lapping at the water's edge. Incredibly peaceful. USS Oklahoma Memorial. 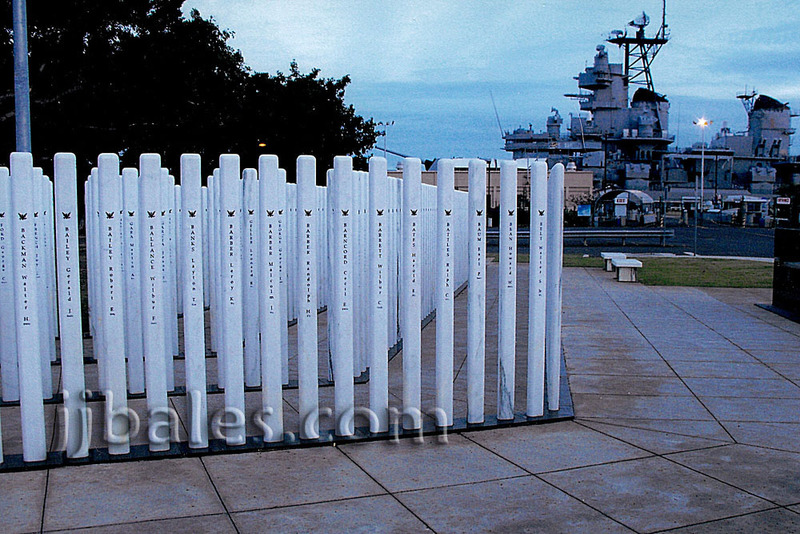 Each white pillar represents one of the 429 men lost aboard the battleship, which capsized during the Japanese attack on December 7, 1941. 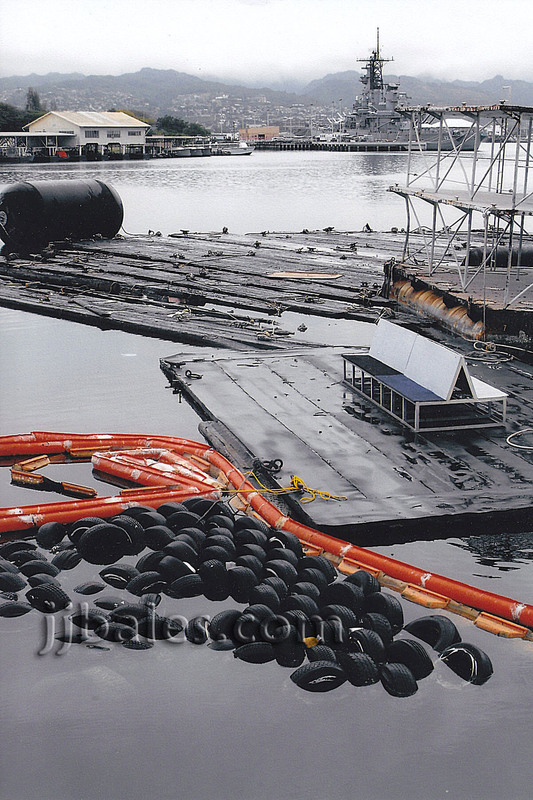 The Oklahoma capsized at the spot where the battleship Missouri (visible in background) is now moored as a museum ship. 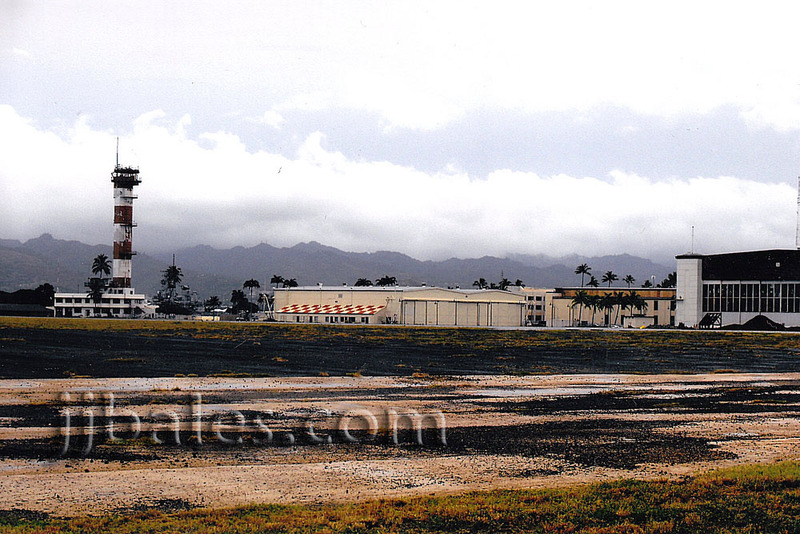 Control Tower and buildings of the Pacific Aviation Museum - Pearl Harbor. 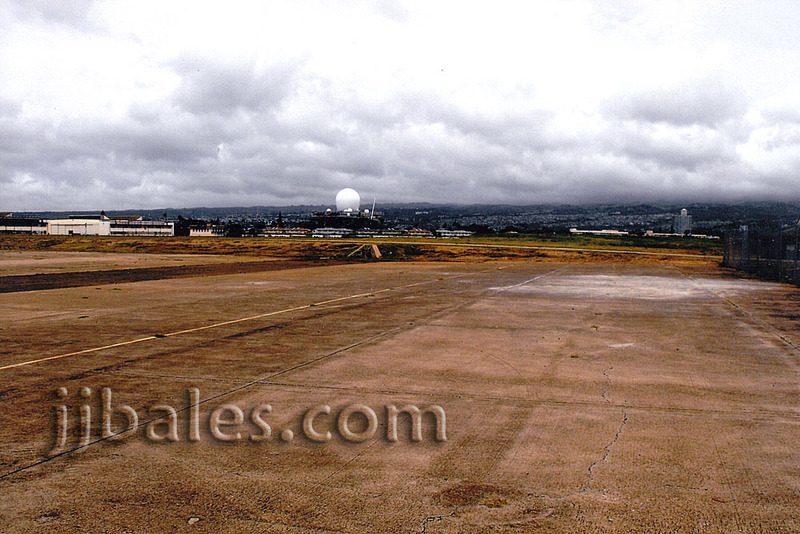 View of abandoned runway looking west. Ominous-looking skies were the norm during this trip. 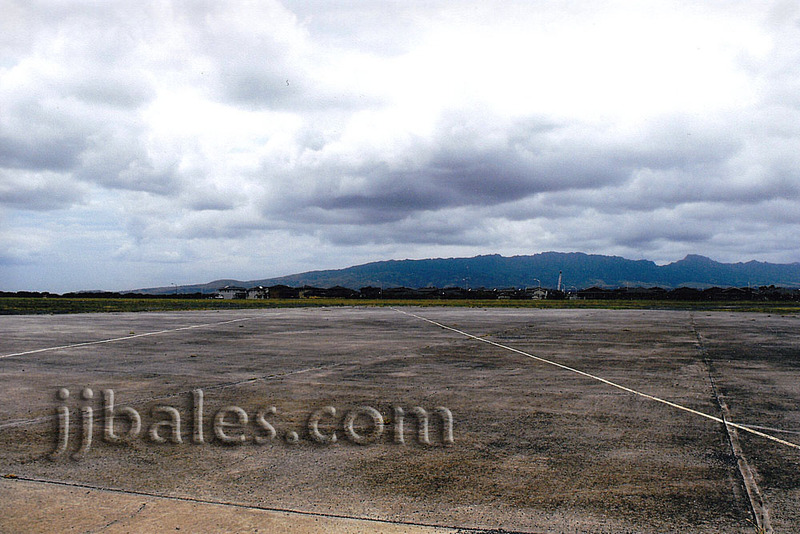 View of abandoned runway looking east. SBX-1 radar platform is hard to miss. 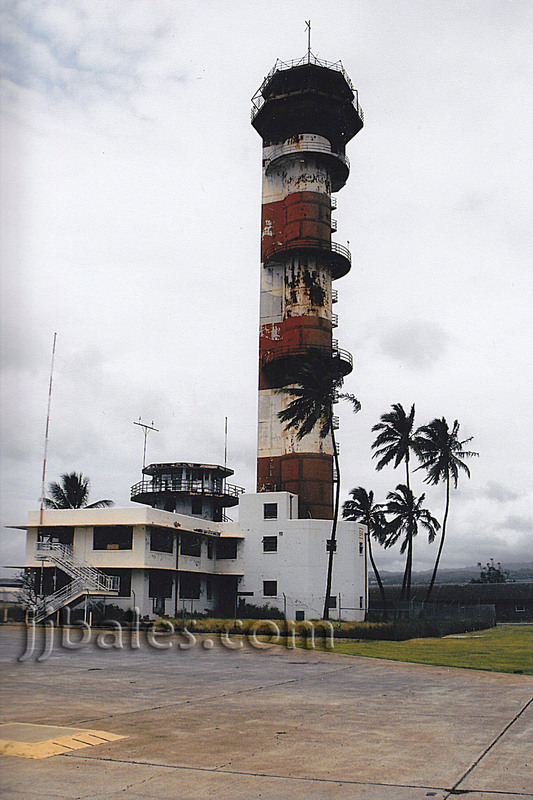 The iconic Control Tower, witness to the attack on Pearl Harbor, is in a state of serious disrepair. Efforts are underway to restore the structure as part of the Pacific Aviation Museum. Industrial area on southern shoreline. Battleship Missouri visible in background. 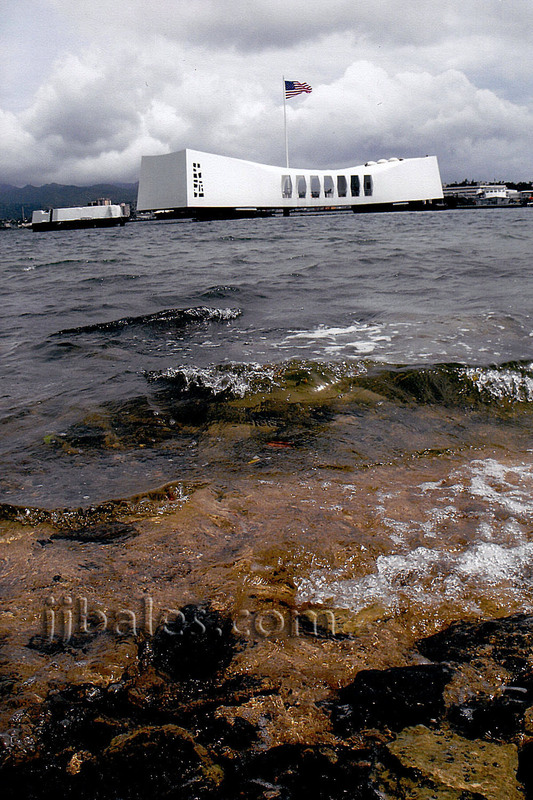 Waterline view of USS Arizona Memorial from Ford Island. Seaplane ramp on southwest corner of island. 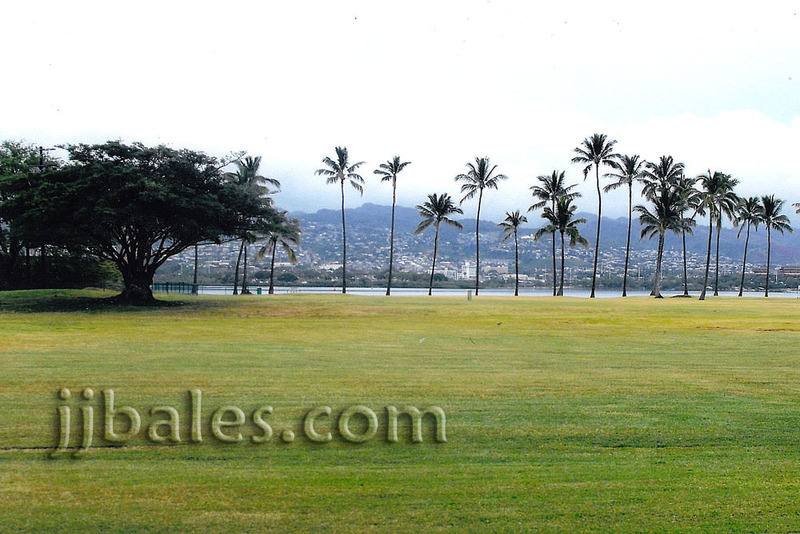 The first bombs during the Japanese attack on Pearl Harbor fell in this area at approximately 7:57am on December 7, 1941. 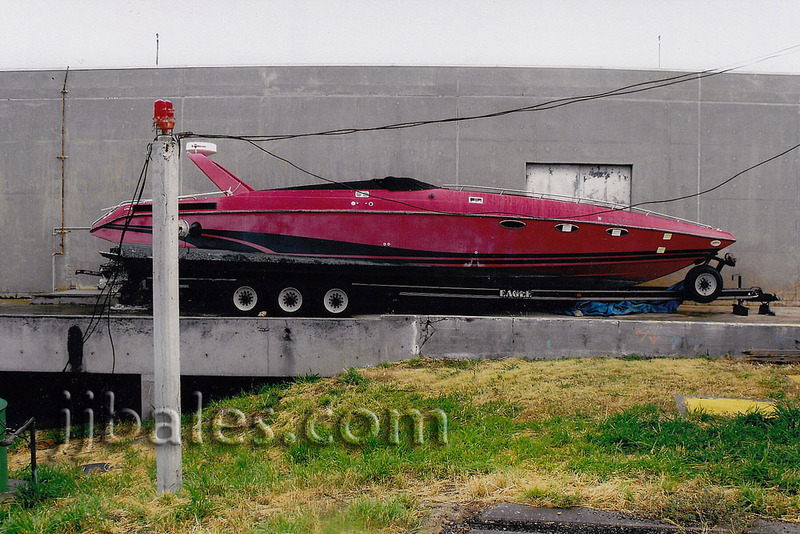 Old powerboat in seaplane ramp area. 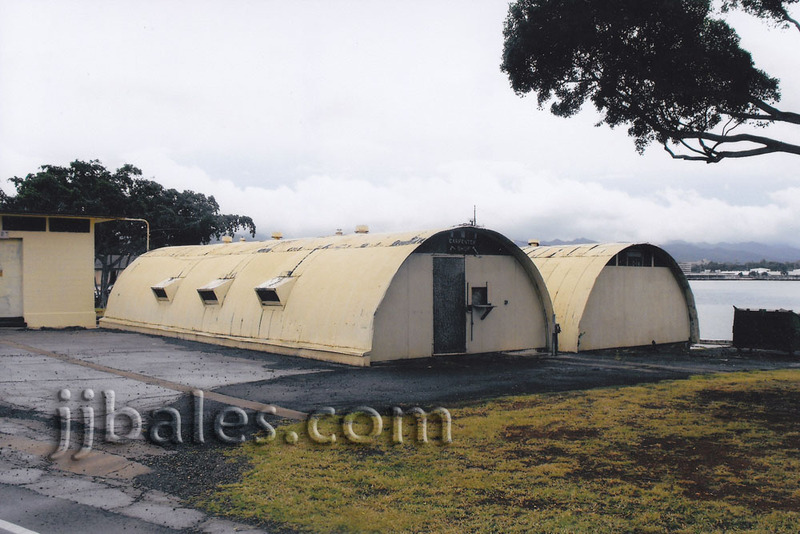 Quonset huts on southern shoreline. Old aviation hanger north of abandoned runway. Inside the Pacific Aviation Museum. 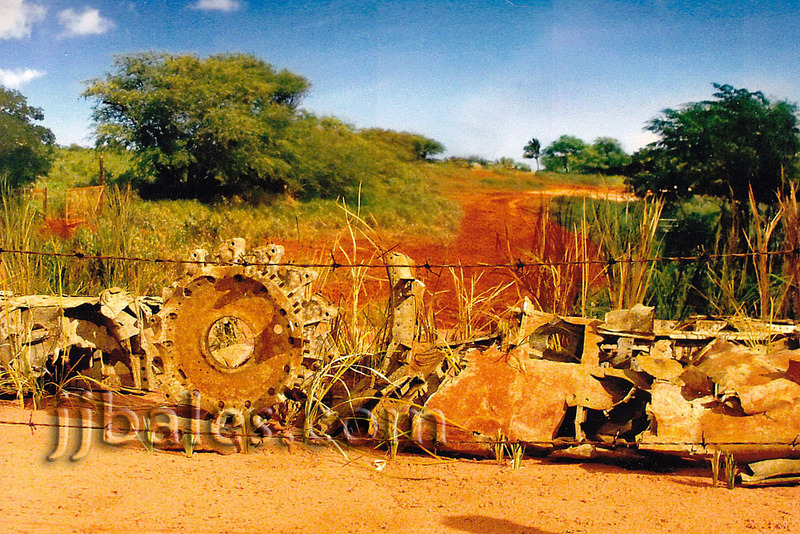 A mock-up setting with what remains of the A6M2 Zero (piloted by Shigenori Nishikaichi) that crashlanded on Niihau Island on December 7, 1941. View of the historic battleship Missouri. The official surrender of Japan was signed aboard the "Mighty Mo" while she was docked in Tokyo Bay on September 2, 1945. 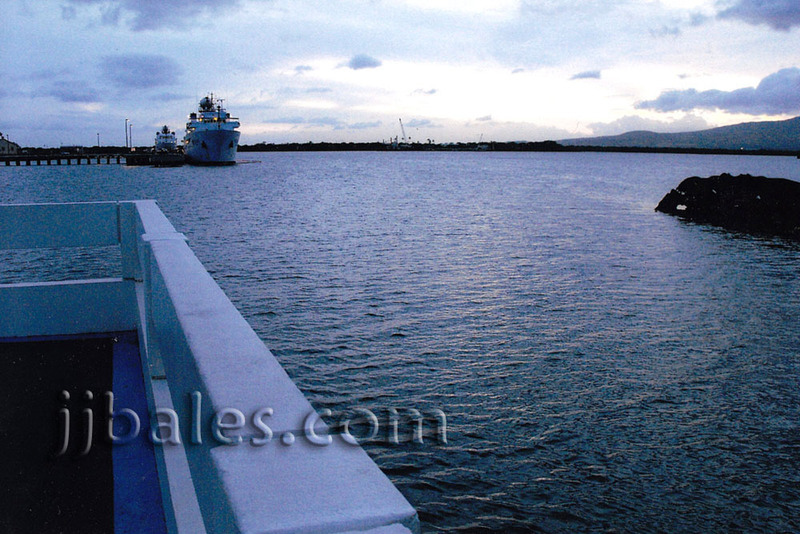 View at dusk looking west from the USS Utah Memorial. The rusting hulk of the training vessel Utah, sunk on December 7, 1941, is visible on the right. Several NOAA research vessels are seen in the background. Eerily quiet and calm at night. 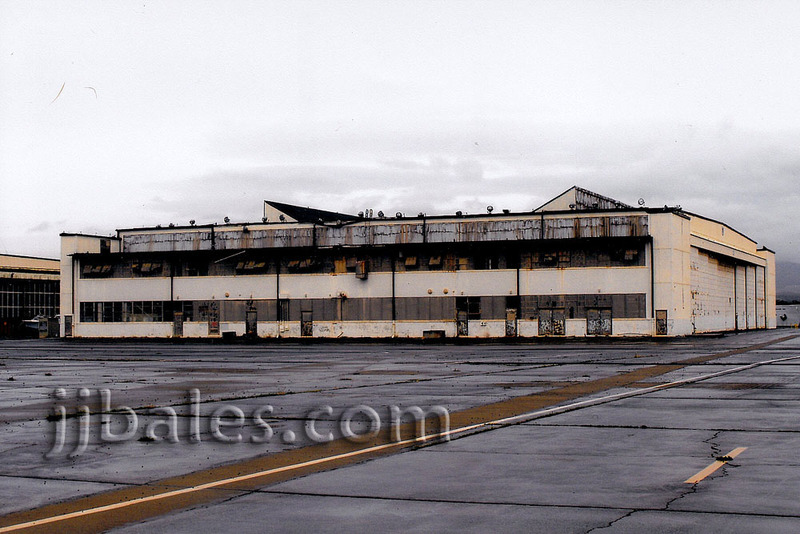 View of old building (with large bays) with the seaplane ramp visible just past it. The old red powerboat is sitting on the far side of this building. 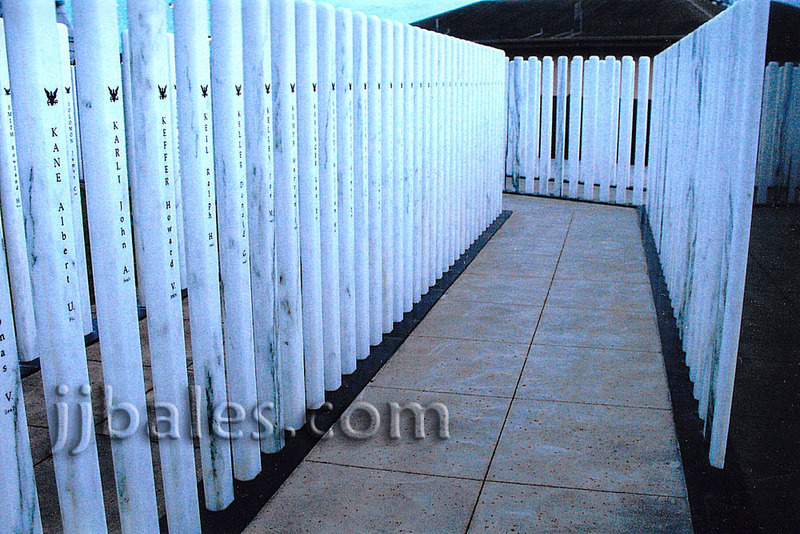 Walking among the pillars inside the USS Oklahoma Memorial. 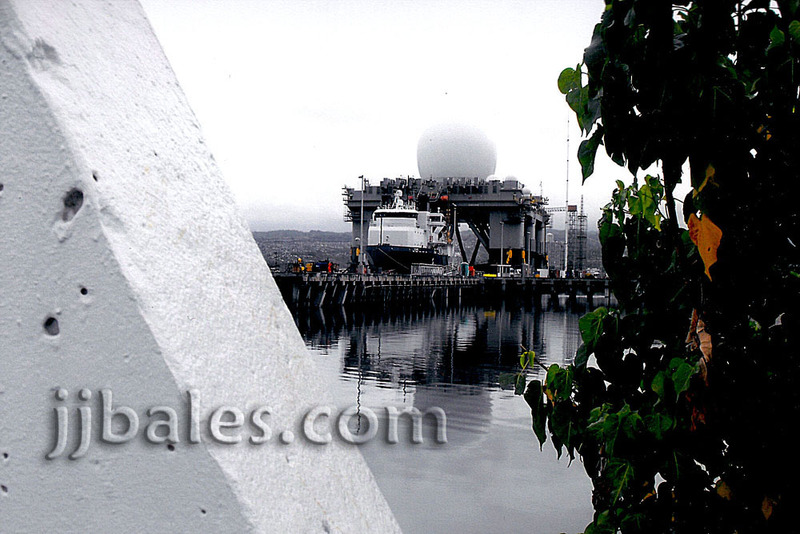 View of massive SBX-1 radar platform - sitting atop the semi-submersible heavy-lift vessel Blue Marlin - from the USS Utah Memorial.